The Premier League and UCL giants Liverpool are lining up a £25 million offer for Real Sociedad star Diego Llorente, it has been claimed. Jurgen Klopp’s side have pushed Manchester City this campaign, and are expected to keep spending in the summer transfer market. 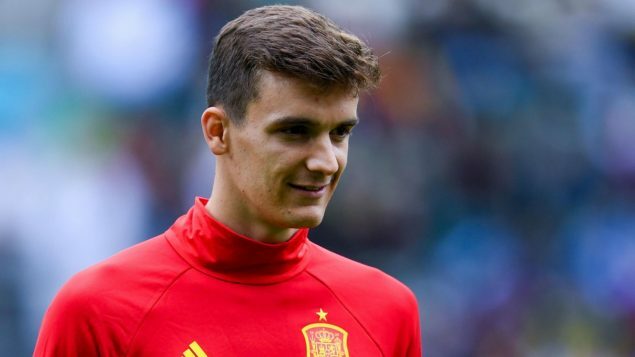 The Reds have defended well this campaign, but according to Spanish newspaper Noticias de Gipuzkoa, Liverpool have monitored the 25-year old star and might move in for the star in the summer. The centre-back spent his younger days playing for the Real Madrid youth sides and the Castilla before a couple of loan stints away from the club. Real Sociedad spent €7m to land him from the capital side, and since then, he has proved himself as a regular for the Basque-based side. So far this campaign, Llorente has made 16 matches in the Spanish Primera Liga, and has played an essential role in their build-up play as he is a ball-playing defender who loves playing out from the back. It’s clear that Liverpool’s defence has become one of the best across the continent after signing of Virgil van Dijk, and Joe Gomez, when fit, could be the preferred choice. Joel Matip has done fairly well, but what makes Diego a prospective target is his ability to play on many positions. Like Fabinho, the 25-year old star can play in a holding midfield role because Brazilian is extremely comfortable on the ball. The Reds are possibly to face competition from EPL club Everton for the all-around defender, however.